The global leaders started their first day on Spring Break bright and early at 7:00 AM. The visit began with a brief introduction from Steven, project manager from Walsh, explaining the different sections of the Ohio River Project. The project was divided into three sections: the downtown and east end. 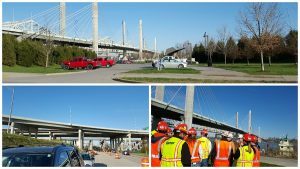 The downtown project, the first section the crew saw, was a design build project that started in early July 2015 and is currently running 19 months ahead of schedule. It consists of 41 different bridges and aims to create six lanes of north bound traffic and six lanes of south bound traffic. The first section of this project aims to simplify the junction of I-64, I-65, and I-71 that lies just south of the Ohio River that many have come to know as “spaghetti junction.” To accomplish this feat, Walsh is foregoing the existing tendrils of the interchange, to put in more simple and direct connecting paths for travelers. To break up the north and south bound traffic, a new, three–tower, cable stayed bridge now spans the Ohio River. The most cumbersome task about the bridge construction was not erecting the towers or spanning the river as one might think. It was in fact placing the foundation. Due to constraints placed on the project team, they were forced to drill single concrete piers that measured 12 feet in diameter into the bedrock of the river. Upon completion of the piers, the three towers would be able to be erected with ease. The middle tower stands 280 feet above the river water level and the other two reach up to 230 feet. Currently each tower looks to be perfectly plumb with the world but they were in fact built out of plumb. This was done to account for the deflections of the towers under the bridge load. 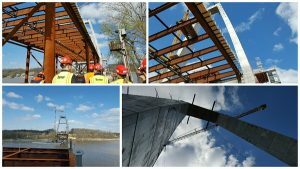 The Walsh team was then able to span the river with little effort using the balanced cantilever method, which has Walsh placing steel on one side of the pier and then the other to keep the loads in equilibrium. Amongst this, they used 1.5M linear foot of strand to build the cables that supported the bridge deck. Directly to the West of the new downtown bridge lies the Lincoln bridge, which Walsh is also renovating. The specifications of the work originally included replacing the existing concrete deck but upon further inspection of the bridge, it was clear that the stringer supports needed to be replaced. The Walsh team soon received a change order to include the stringer repairs in the restoration. To accomplish this feat, Walsh designed and constructed custom gantry cranes to be used specifically for this project. The group then caravanned behind Steve for about six miles to the “East End” part of the project. This portion consists of two side-by-side underground tunnels that were drilled by blasting through 1680 linear feet of Kentucky earth and a two-tower cable stayed bridge. 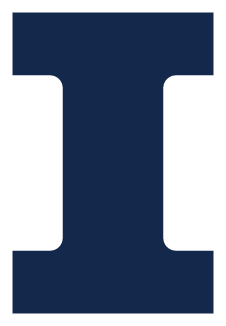 The “East End” Bridge Project is a joint venture between Walsh and Vinci and is being developed by WVB LLC that is made up of Walsh, Vinci, and Bilfinger. This project is being delivered through a public private partnership and will be operated and maintained by WVB for 35 years after completion of the project. The joint venture company will also be responsible for the bonding and financing of the job for 40 years after completion. The total cost of the project is 1.3B dollars with a total construction cost of 778M dollars. As part of WVB’s long-term responsibility, they are attempting to reduce the long-term cost of operations maintenance. They are completing this project with extremely high quality control standards, approaching it with a “do it right the first time” attitude. We first stopped to check out the tunnels where we met the quality control manager, Mike. The team was in awe as they descended nine flights into the pit that was excavated for the tunnel entrance. 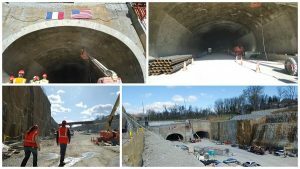 Mike then took us to the mouth of the newly finished left tunnel where concrete patching and quality control inspections were taking place to meet the highest level of safety and quality. He explained to us that first the existing rock was drilled and blasted away, then covered in shotcrete and finally shored by a bolt system. After the inside of the tunnel was then prepped and safe, the rebar is placed and then the jack forms are brought in to be pumped full of concrete. All along the way management team is constantly testing and triple checking the quality of the build to ensure the safety of the end user. The team climbed out of the pit following Kevin, another member of the Walsh team, to the “East End” bridge site. Here the team saw the structural steel shored up from the bottom of the river connecting with the 300 foot eyelet shaped tower. On the south end of the bridge they used a similar cantilevering method that was employed on the new downtown bridge. On the north end however the structural steel support of the deck is being launched from the shore to the tower structure. The Ohio River Bridges project visit concluded with a Q and A session with Kevin atop the scaffold on the side of the tower.